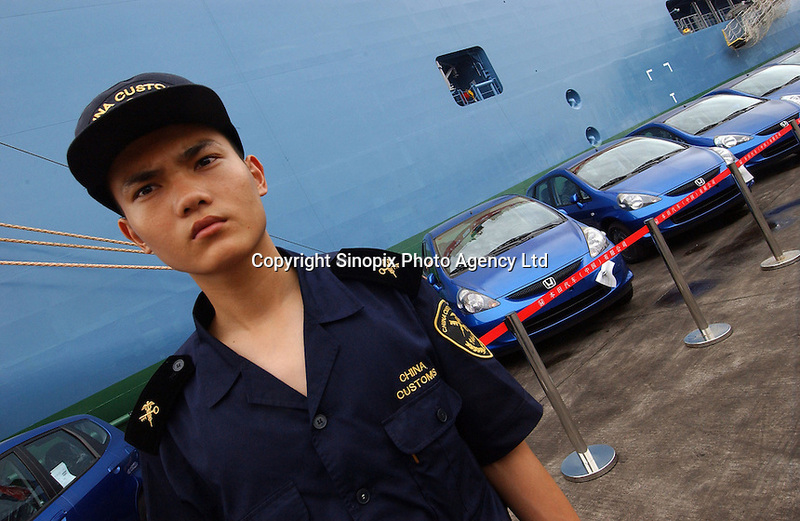 Customs officers check newly produced Honda Jazz motor cars that are lined up for export at a port in Guangzhou, China prior to a ceremony for the first cars exported. Honda Motor Export Plant in Guangzhou, China, produce and export the Honda Jazz model. .